Why does the British monarchy matter? Were the ceremonies enacted earlier this year for the Queen’s Diamond Jubilee really as traditional and ancient as they appear? How similar were these enactments to the previous diamond jubilee celebrations for Queen Victoria? Or are these all modern constructs, a new definition of monarchy for the ‘modern’ age? These are the issues that David Starkey chose to address for this year’s Marc Fitch lecture. Let us first begin with a brief history of the Marc Fitch lecture, which is an annual event, first organised in 1956 by Marcus Felix Brudenell Fitch (1908-1994). After the Second World War, Fitch developed interests in historical and genealogical matters, and took a leading role in the British Record Society (of which he became chairman in 1956). Under his guidance the society increased publications, most notably the testamentary records of the Canterbury province. According to his ODNB entry (only available via subscription) Fitch set up the Marc Fitch Fund in 1956 as a result of his friend Francis Steer (Sussex county archivist) who complained of the difficulties of attracting financial support for publishing local historical material. David Starkey talked about the foundations of the VCH in his presentation and noted the great differences between Queen Victoria’s Diamond jubilee celebrations from that held this year. Starkey sees the ceremonial monarchy as a very modern tradition forged by people in the early twentieth century with very powerful connections. To listen to the podcasts from the Marc Fitch lecture click here. The VCH was founded in 1899 to produce a history of each county and parish in England. This work continues to this day with the large red volumes becoming its most recognisable output, although they do also produce various smaller publications and host the website VCH Explore, which has recently received a new overhaul and upgrade. If you would like to learn more about the VCH have a look at their website or check out their new publication The Victoria County History 1899-2012: A Diamond Jubilee Celebration. The Policy forum was made up by Jerry White (Birkbeck), Kate Gavron (Young Foundation) and Rob Berkeley (The Runnymede Trust). Rob Berkeley began with a discussion on the future of London as a place and in particular with a focus on race relations and on the issue of segregation or integration. As part of the Runnymede organisation, Berkeley looked at how areas that have changed from ‘majority-minority’ to ‘minority-majority’ in population demography have fared and what this tells us about future relations within the inner and outer city. Jerry White continued the discussion by looking at the almost sudden transformation between the two halves of the twentieth century. 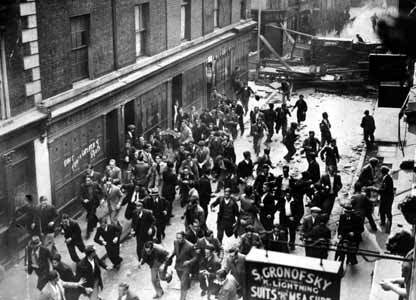 Between 1900-1950 there was strong anti-foreign rhetoric in London but soon afterwards immigration began in strength. Nonetheless, London for the most part did not see a xenophobic reaction to these changes but, either through indifference, or due to the unique structure of London life managed to live fairly well together. White looks at evidence from housing, jobs, service sector, and politics, but also places a fair amount of faith in the idea of ‘swinging London’ that began in the 1950s and on the indifference found in many people’s outlook on life. Kate Gavron ended the discussion with a case study. Looking at the changes to Tower Hamlets in the East End, Gavron asked how government policy has helped and hindered in equal measure the establishment of a largely Bangladeshi population there. To listen to these podcasts and others from the Anglo-American conference 2009 click here. Come and visit our Publishers’ fair at Senate House on 5th and 6th July. The fair will be taking place as part of our annual Anglo-American Conference, this year on the theme of Ancients and Moderns, in the Crush and Macmillan halls (ground floor of Senate House). Attendees will have the chance to buy the latest history books at discounted prices from a range of international publishers. There will also be opportunities to speak to editors who will also be in attendance. Attendance is free and the fair is open to all. For any queries, please contact IHR.Events@sas.ac.uk. Exhibiting publishers will include Manchester University Press; Yale University Press; Adam Matthew Digital; Bloomsbury; Cambridge University Press; I B Tauris; Liverpool University Press; Oxford University Press; Palgrave/Macmillan; Reaktion books; Taylor & Francis/Routledge; Wiley-Blackwell. Visit www.history.ac.uk/aach12 for a full list of exhibiting publishers, and for further information on this year’s Anglo-American Conference. Yesterday was a busy day for podcasting here at the IHR. Throughout the day we were recording the Local History Summer School with talks by Professor John Beckett on the history of local history, Dr Simon Trafford on sources for local history, Amy Proctor on the London Metropolitan Archive and myself talking about History SPOT. Then there was the final session for this year of the Sport and Leisure History seminar – on the subject of ‘boom and bust’. On this occasion Sean Creighton was not talking about the economic climate, but the brief explosion of interest in roller skating during the early twentieth century. To end the day we recorded the Mark Fitch lecture celebrating the rededication of the Victoria County History county volumes by Elizabeth II in celebration of her Diamond Jubilee. 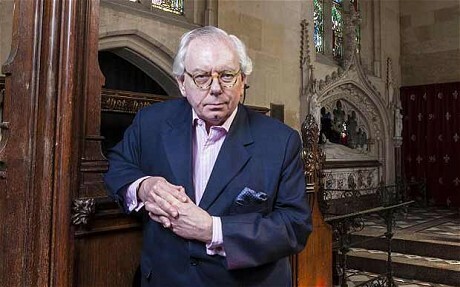 The lecture was given enthusiastically as ever, by Dr David Starkey on the topic of “Head of Our Morality”: why the modern British monarchy matters. Starkey gave a fascinating insight into the Diamond jubilee ceremonies for Queen Victoria, which was not at all what we imagined and looked at the invention of ‘monarchy’ and its focus on ceremony and tradition in the twentieth century. All of these will be released on History SPOT over the coming days, weeks, and months alongside today’s release of the opening lecture for the History of Education in Scotland network, and the Anglo-American 2009 conference on the topic of Cities. This paper will explore the emergence of ‘East End’ as a category of description and analysis in fiction and social scientific discourse. Where, exactly (or even approximately! ), was the ‘East End’ and what were its social, cultural and geographical attributes? The paper will pay particular attention to the writings of George Gissing, whose reputation as a novelist of slum life has often led to his being associated with the East End; to the relationship between Gissing and other ‘East Enders’, such as Arthur Morrison, Walter Besant and the Rev. Osborne Jay; and to the parallels and interactions between Gissing’s fiction and Charles Booth’s Labour and Life of the People and the associated ‘Descriptive Map of London Poverty 1889’. Of special interest is Gissing’s early novel, The Unclassed. In its first edition as a three-volume novel (1884), the slums that play a prominent role in The Unclassed were situated in Westminster, but by 1895, in revising – mainly abridging – the novel into a single volume, Gissing relocated the slums to the East End, reflecting shifts in both popular perceptions of the East End and ‘real’ ongoing changes in the geography of poverty in London in the 1890s that are also revealed by the 1898–99 revised edition of Booth’s poverty maps. Abstract: This paper looks at East London life before Victorian observers ‘invented’, ‘ideologically constructed’, ‘mythicised’, or ‘problematised’ the ‘East End’ (as the fashionable phrases nowadays go). It sets aside the Victorian judgements and anxieties through which many historians still filter their views of East London and, without denying its deprivations, it speculates how best we might treat its ‘low life’ in its own and more positive terms. Recalling Dr Johnson’s advice to Boswell in 1783 to go with curious eye and philosophic mind to Wapping the better to measure London’s ‘wonderful extent and variety’, the paper focuses on the century after 1750 or so, to wonder what it was that outsiders were responding to when they described East Enders as ‘happy’, and allowed them their own exuberant vitality. When we talk about cities and urban spaces we are in the habit of using a specific language that we generally believe to provide acceptable descriptions. However, Swati Chattopadhyay believes that the words we use are not specific enough and that our descriptions presuppose a certain view of history and the relationship between natural and fabricated reality. There are two examples used as demonstration. The first is the increase in slums and the difficulties that our language has in identifying the meaning of these places and their connections with cities and rural locations. The second is a focus on rivers, especially in India, and how their changes in shape, size and form over time has an impact on our attempts to control land by making it into landscape. Where are the boundaries of a city? Is it where maps tell us it is, or is it more fluent than that? These are basic questions that Chattopadhyay asks or our usual interpretations of urban spaces. Abstract: This paper will present an overview, concluding that England has two leagues of cities: a largely medieval league of what are now small cathedral towns; and a post-Victorian league which now includes more or less all the great ‘towns’. The paper explains how this came about, and asks what it means for our understanding of the English city.